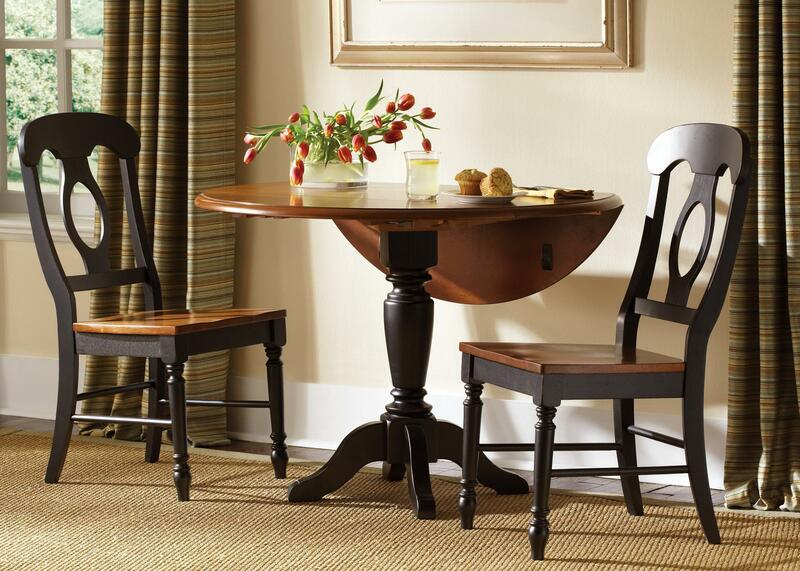 The casual elegance of this 3 piece set will enhance the look of your breakfast nook. Gracious curves of the pedestal base add sophistication, while two 11 inch drop leaves provide functionality. Two matching, Napoleon back side chairs to complete the look. 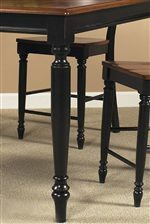 The Low Country Black Drop Leaf Pedestal Table & 2 Side Chairs by Liberty Furniture at Great American Home Store in the Memphis, TN, Southaven, MS area. Product availability may vary. Contact us for the most current availability on this product. Table Info Two 11" drop leaves extend table to 42" circle. Description: Top Smooth cherry veneers. 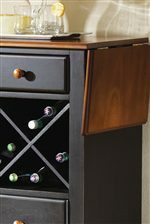 The Low Country collection is a great option if you are looking for Cottage furniture in the Memphis, TN, Southaven, MS area. 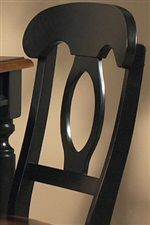 Browse other items in the Low Country collection from Great American Home Store in the Memphis, TN, Southaven, MS area.